Zuckerberg rings Nasdaq bell Jump to media player In one of the largest and most high-profile share flotations of recent years, Mark Zuckerberg, founder of Facebook, rang the opening bell of the Nasdaq exchange. 'Is Facebook worth $100 billion?' 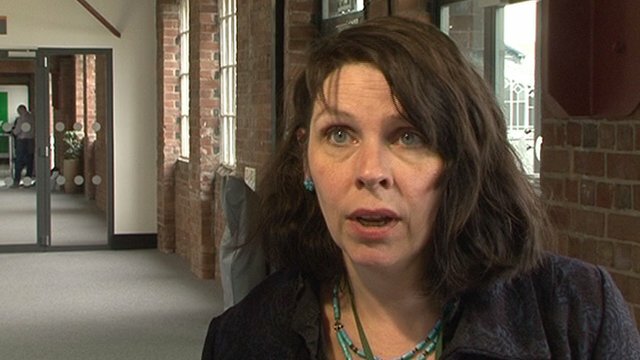 Jump to media player As Facebook floats itself on the stock exchange, technology experts attending the Future Everything conference in Manchester give their views on the company's worth. 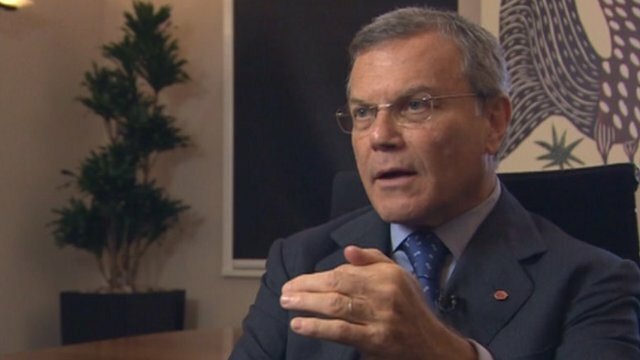 Ad boss on Facebook's power Jump to media player Sir Martin Sorrell explains to Rory Cellan-Jones the strengths and weaknesses of Facebook when it comes to advertising, as the company prepares to float on the stock exchange. Social networking site Facebook has begun trading some of its shares, priced at $38 each, on the stock exchange. The 8-year-old internet phenomenon has been valued at around $104bn (£65bn). 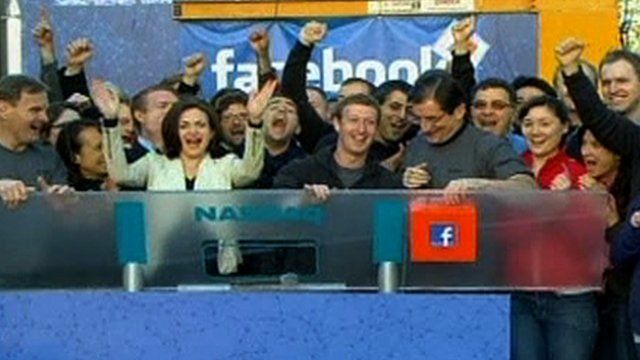 In one of the largest and most high-profile share flotations of recent years, founder Mark Zuckerberg rang the bell to open the Nasdaq index remotely from his HQ in California.